Posted in the blog "Postcards from the Zone," a blog focused on the Twilight Zone, the following entries were made on the page for "A Little Peace and Quiet:"
it was on chiller recently. This episode was one of the scariest. 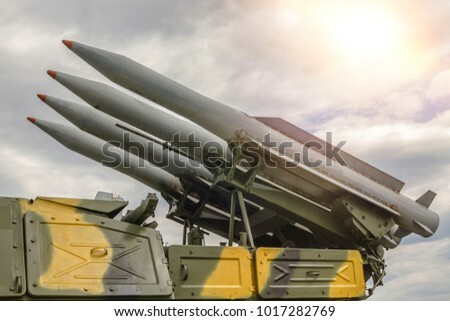 The final scene with the missle close up, was not the original final scene but done cause there were too many complaints the original was disturbing. The original ending was after she sees the missle in the sky (no close up) she walks further down and around a corner and sees a missle about 9 feet from hitting the ground. Penny then screams Nooooo and then the scene goes to black. While this entry refers only to the 1980s version of the story, it does show that Twilight Zone producers would alter their episodes for various reasons. This original ending mirrors the original version of this story that I'm seeking. Although this is a good basic type Twilight Zone. I could swear I saw another version of this in black and white. I'm wondering if it was an original version ? Anyone else see another (remake) of this in black and white or older. The family does not leave the house and the show ends with the main character running out into her yard and seeing many bombs frozen in mid air. Yeah I have a difrent memory of this too but similar a boy or boys freeze time play around with people in a store sticking money in that mouths too pouting them in strange positions going outside and seeing the missile but I can't find it. My full description of what I recall from the unidentified older version of the story is below. What I suggest is that this story in the form i describe was aired as part of an episode of Night Gallery and was then replaced with another short piece in the 1980s. I should date these entries, but they are within days of each other. Having re-read every plot of every episode of Night Gallery and having watched many episodes again I can say with certainty that the show I'm seeking was a Night Gallery episode and a typical example of the irony employed by that series. IMDB shows that there are episodes whose season were uncertain. Its likely that there are several lost episodes as well, with this being one of them. At the time I saw this show I'm certain that it had the Night Gallery introduction which is unmistakable. The actual story was short like many in the series. Some of these shorter stories were controversial at the time and were edited out with substitute stories, such as "Witches Feast." I had also seen that short story probably during a period of re-runs on late night TV years ago. This "contraversial" story was just a silly joke but it must have offended enough people for it to be yanked. I think the same is likely for the nuclear missile story which may have ruffled feathers back then. I would greatly appreciate any Night Gallery enthusiasts checking their notes for any lost or pulled stories. Thank you. There are others aside from myself who have commented in You Tube comments, blogs and elsewhere that they had also seen a different version of the story "A Little Peace and Quiet" which is an earlier version likely from the late 1960s to mid 70's. It may have been B&W or muted color. Its not one of the episodes of the original Twilight zone and its also not in the Night Gallery series (though of all places that's where I expected to find it). In the version I and others saw, the mood and feel are from the period mentioned above and with a muted color or B&W aesthetic. The housewife was much more representative of the nagging housewife of the 70's sitcoms and wore a bathrobe and curlers during most of the show. She was hostile to her husband and there were no small children around. It was very different from 80's era TV commercial characters and look. At some point she remarked to her husband that she was going outside. The house was much darker and drearier than in the 80's version. She wandered a bit in the evening darkness with no one around until she saw pointed tube-like missiles just above ground level. They a dark military gray and suspended maybe 7-15ft in the air. Upon seeing this the housewife panicked and screamed. In my question regarding the ending sequence of Gargoyles I have doubts about my recollection but not in this case. Maybe a little concerted detective work will uncover this mystery episode. Thank you. This one should be a lot easier to ID than my inquiry about a movie or show featuring robotic termite-like creatures with some similarity to Zanti Misfits (please see that post if you have even the vaguest recollection of it). A typical housewife (in curlers and a bathrobe) inhabits an earth whereupon every living and non-living thing is suddenly frozen in time except for her. WWIII had begun before the time freeze and the first fusillade of nuclear missiles is suspended just above ground level. She wanders outside of her house in the evening and sees the missiles suspended in space and milliseconds from unleashing their destruction. I believe this is the final scene of the show and the extreme dilemma with which the housewife is burdened. What led up to this scenario is now hazy for me, though I believe she has the ability to unfreeze time, but will have to devise a miraculous plan to stop the missiles less than a moment before she unfreezes the rest of the planet. I think that the intended irony of the story is that she, being a typical housewife of the time (1960s-early 70s), doesn't have the slightest clue as to how to prevent the missiles from falling. I recall she was arguing with someone (maybe her husband), dismissing him and his thoughts as trivial. This was likely to reinforce the irony of her dilemma. I'm less certain about this detail, but she might have a limited period of time to devise a solution. I (and others) urge anyone with a similar recollection to weigh in with any comments or leads to help identify this earlier version. It was also mentioned that the ending of the 80s TZ version was changed to something less disturbing based on audience reaction (see above blog). The older version which had an even darker feel to it may have been removed from circulation completely. It was not among the Night Gallery stories nor can I find it anywhere else. This is a Twilight Zone episode: "A Little Peace and Quiet," from the 1980s series. Penny is a very harried housewife with a dim-witted and hapless husband named Russell. They also have four children: Janet and Susan, who are always fighting; Gertie, who is very clumsy; and Russell Jr., who is always playing pranks. A typical morning consists of Penny being awakened by a cacophony of activity including her excessively loud clock radio, cooking breakfast, arguing children, Russell Jr. playing a prank, Gertie spilling something, Russell complaining, the phone ringing, the dog barking, and the washing machine acting up. One day, Penny goes to work in her garden while her neighbor loudly removes tree limbs with a chainsaw. As she digs she discovers a wooden box containing a beautiful gold pendant in the shape of a sundial. Not thinking anything of it, she takes it inside and puts it on. At the grocery store, Penny deals with Gertie and Russell Jr. who are whining and she is annoyed by customers. While driving home as Janet and Susan loudly fight, she is on the verge of a nervous breakdown. While she tries to cook dinner, her children pester her again and her husband comes downstairs only to complain about a rip in his shirt. As the noise level becomes too much she yells to shut up—and they freeze in time. She is confused at first, but soon realizes that the pendant is an amulet that can stop time. She tells her family to start talking and time restarts. She is happy as she realizes that she will finally have a little peace and quiet. The words "shut up" stop time and "start talking" restarts time. Later that night, Penny watches a news program about recent arms talks between the United States and the Soviet Union. She becomes annoyed and briefly freezes time then expresses her happiness and goes to sleep. The next day, Penny uses her time-stopping power to enjoy a peaceful breakfast with her family, to shop at the grocery store without incident, and to avoid being pestered by two anti-nuclear weapons activists; she drags their frozen bodies into the yard, lays them down, then restarts time. The shocked activists decide to skip her house. Later that evening, Penny enjoys a relaxing bath when air raid sirens start. She hears her husband calling loudly from the bedroom and when she goes to investigate, the TV is showing the Emergency Broadcast System and the radio announces that nuclear missiles are heading for the United States. When the radio reveals that ICBMs have entered U.S. airspace, Russell and Russell Jr. begin to weep. Just as an explosion is heard in the distance, the terrified Penny freezes time, then leaves her house and walks through the frozen town. As she reaches a street which houses the local movie theater, she notices terrified people looking skyward and is horrified to see a Soviet nuclear missile frozen a few hundred feet in the air, nose down and presumably moments from impact. The episode ends with Penny facing an impossible dilemma: live eternally alone in a silent but safe world, or unfreeze time and have the world be annihilated by nuclear war? My favorite scene is her shopping at the grocery store with time stopped. Not the answer you're looking for? Browse other questions tagged story-identification tv time or ask your own question.